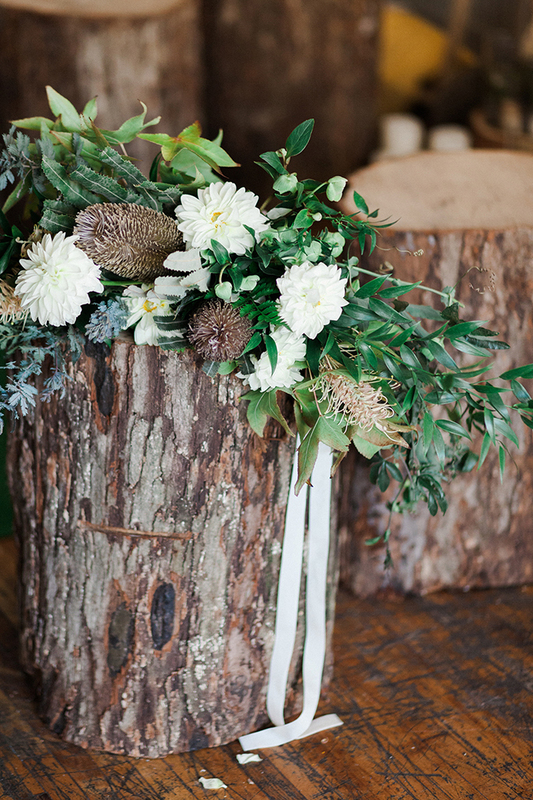 Rustic mountain lovers, have I got some inspiration for you! 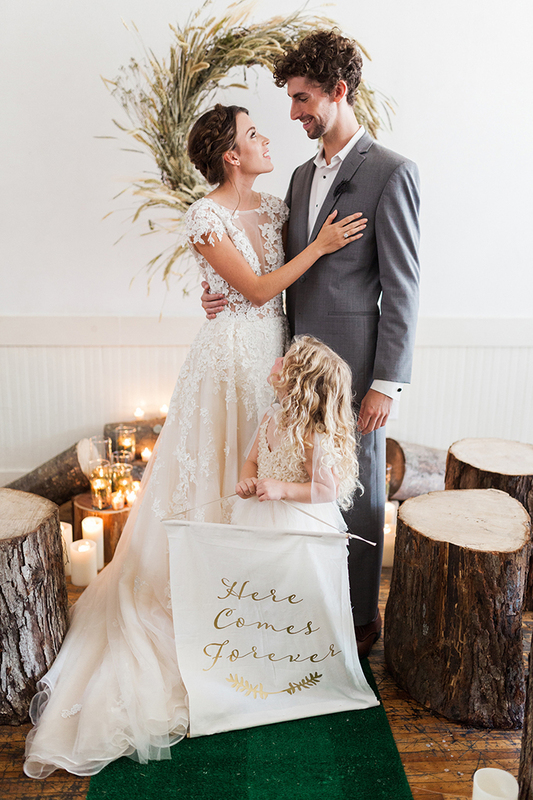 Here’s a handmade mountain wedding design, with warm cozy comforts of the mountains brought right to the city. 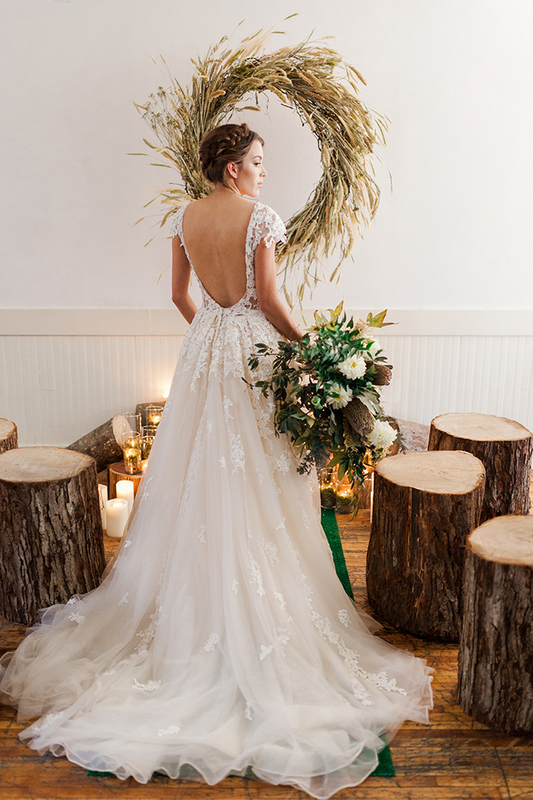 If you are dreaming of a mountain rustic wedding but can’t find a place, you can even rock it in the city creating such a space. 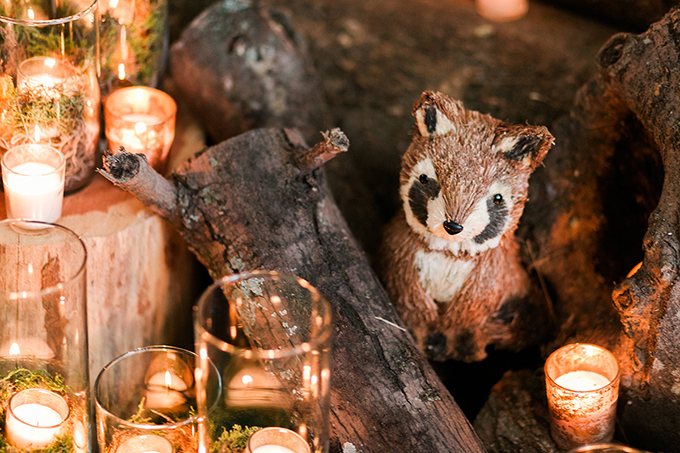 An autumn woodland ceremony scene was designed in a neutral color palette filled with natural wood stumps, tons of candles, and handmade details. 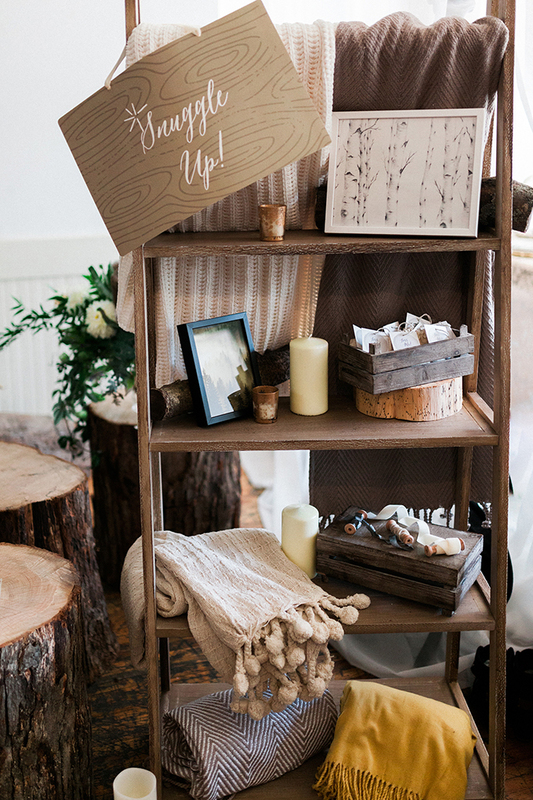 The team created lavender toss bags with the help of Minted and of course, no fall mountain wedding is complete without a snuggle station! 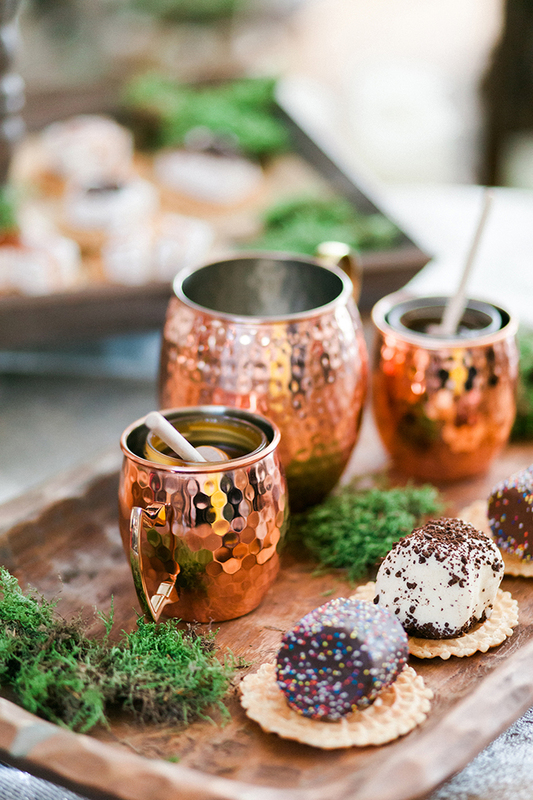 The food was served in a rustic way: with moss, wood slices and bread bowls, and the drinks were given in copper mugs, so cute! 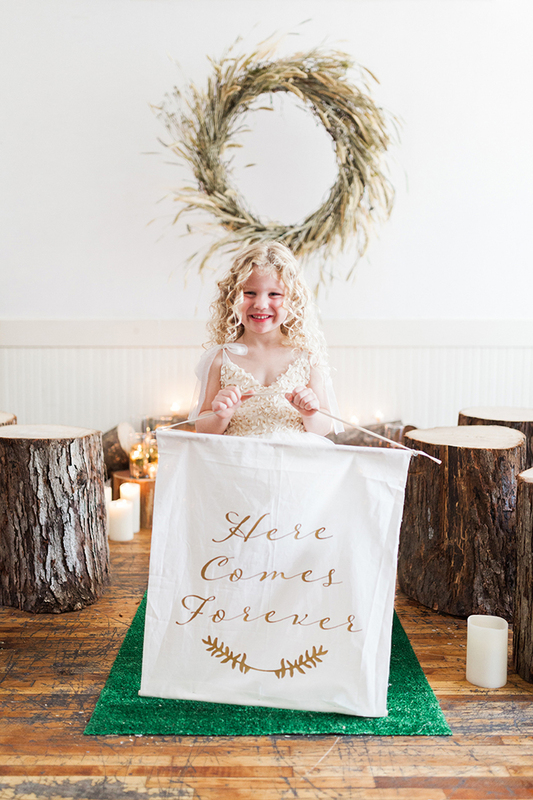 The sweet flower girl’s “Here comes forever” sign was handmade, inspired by the amazing invitations from Minted. 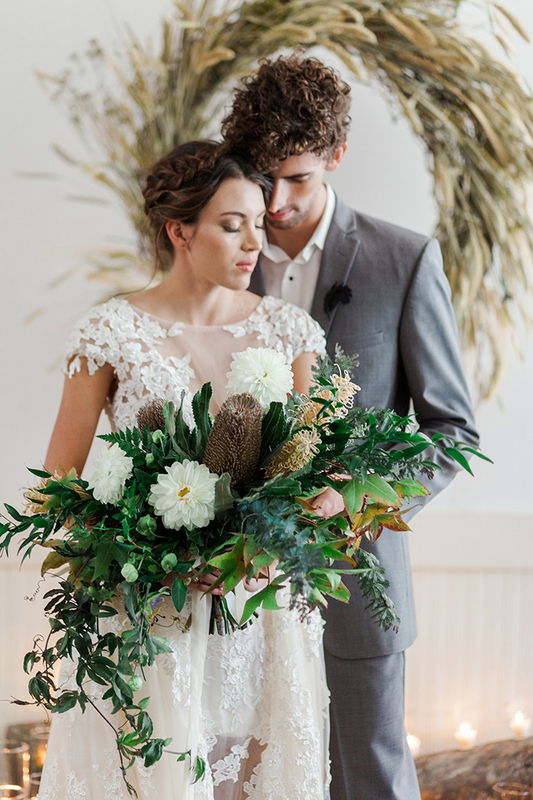 There was an oversized wheat wreath and the bride was rocking a cool rustic bouquet. 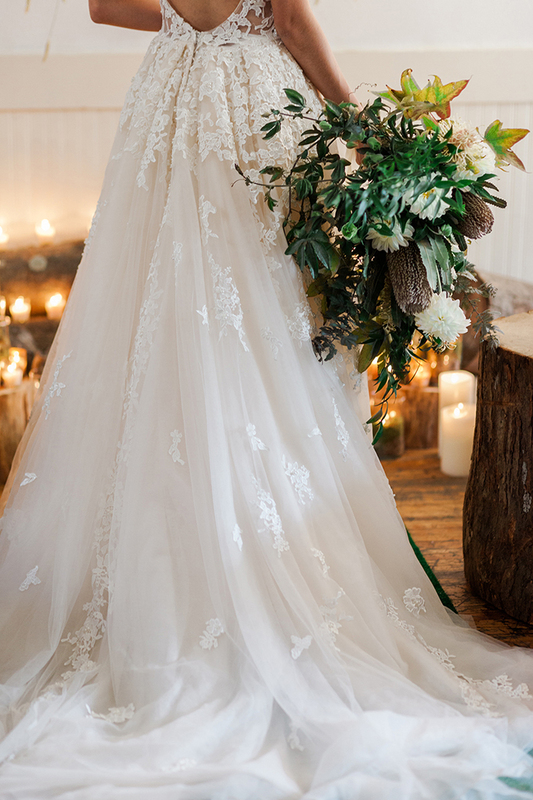 The wedding dress was an illusion plunging neckline one, with lace appliques and a small train, with an open back. 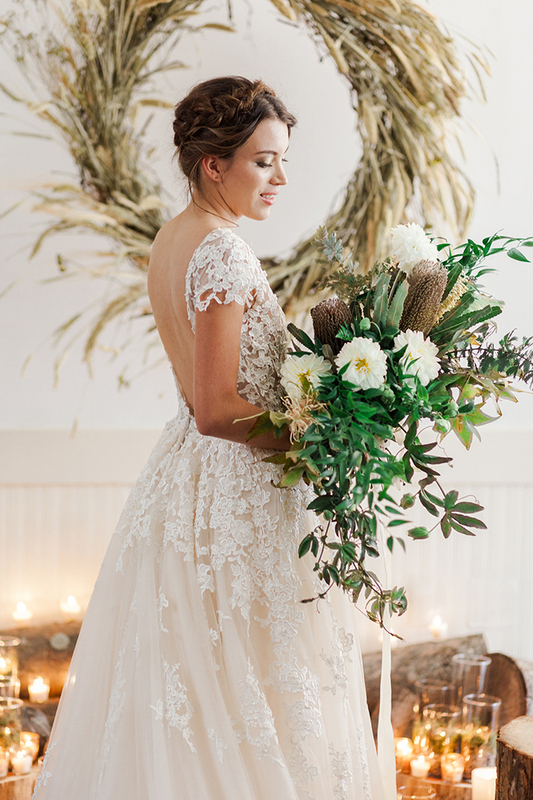 Her braided updo was a perfect fit for a rustic and relaxed bride. 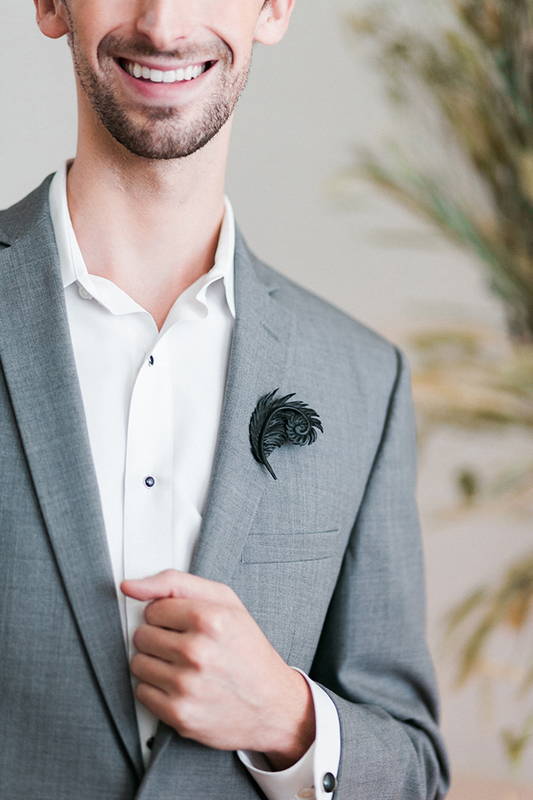 The groom was wearing a simple grey suit with no tie or bow tie, and the flower girl was dressed into an ivory gown with lace appliques and bows on her shoulders. 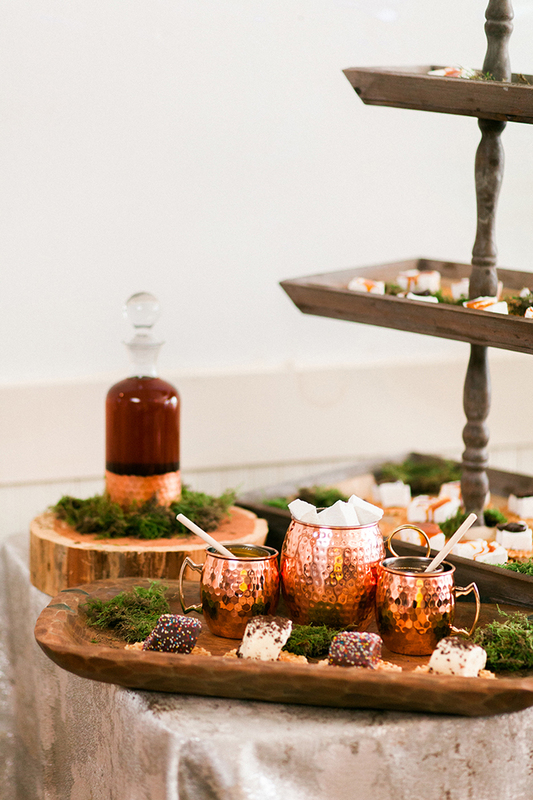 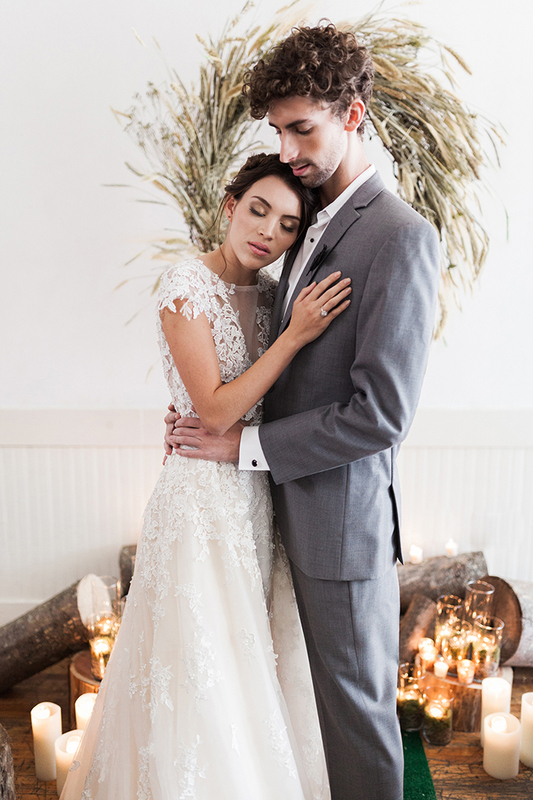 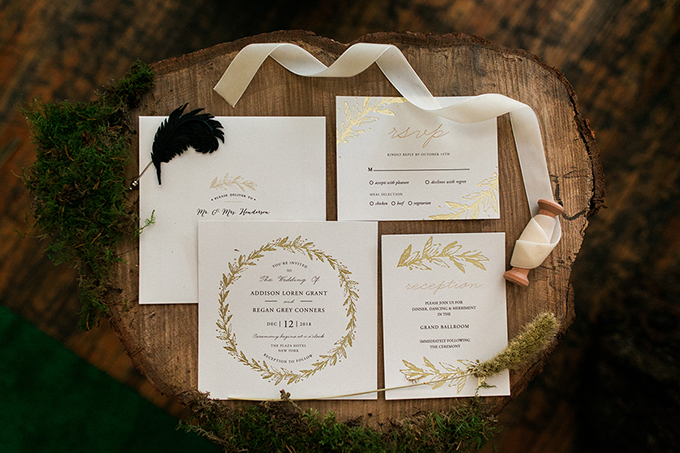 Everyone looking for a rustic mountain wedding – get inspired!